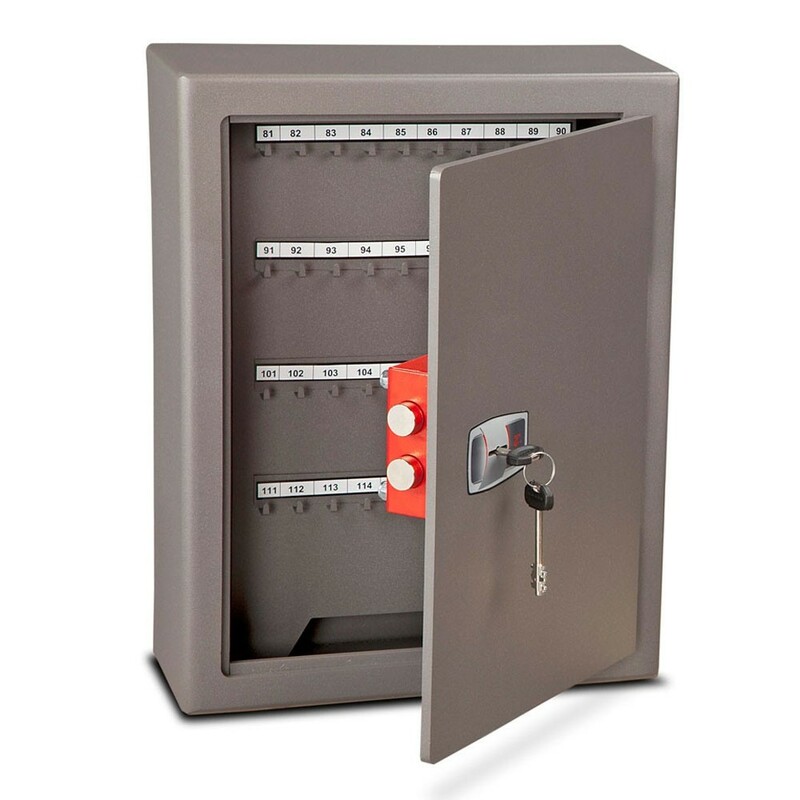 The Burton Heavy Duty key safe 120 keylock is a top quality key cabinet that offers a very high level of security ideal for use in car showrooms, schools and large commercial sites. It is fitted with a high security 8 lever key lock. 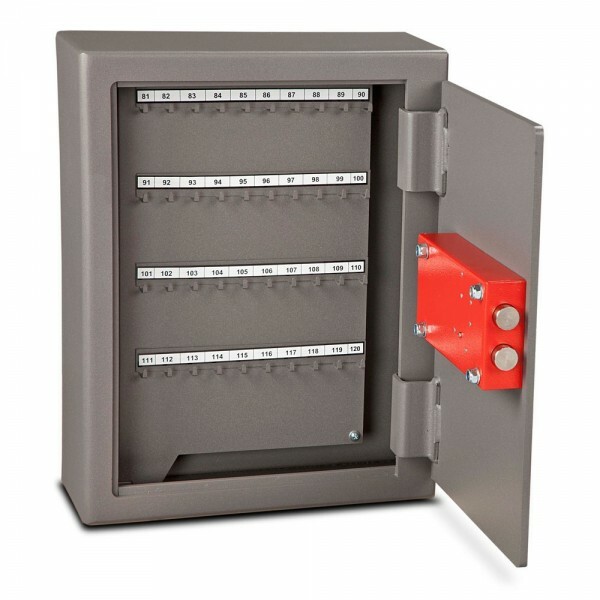 The safe is made from a 3mm steel body and has a 8mm solid steel door which is flush fitting and laser cut for added security. 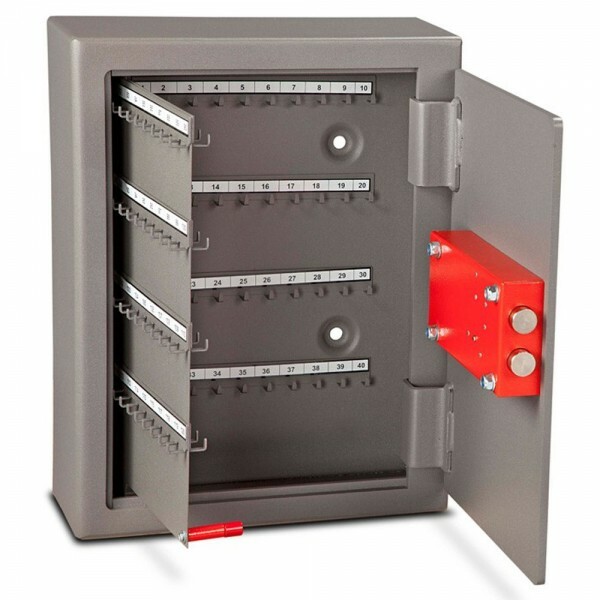 The Burton Heavy Duty key safe is supplied with 4 back fixing bolts for installing it onto walls.